I was born an artist and specialized in still art until O level in 2008 in Marondera. After O level I moved to Harare to study fine art at Peter Birch School of Art but for only 5 months as I had to go back to Marondera to do A Level (2010-11). After A Level I moved back to Harare and worked at Lady Godiva Branding Company where I was exposed to the art of textile printing and I did not take long to adapt. It is whilst I was there that I developed and got the love of designing as I had the passion and love for art. 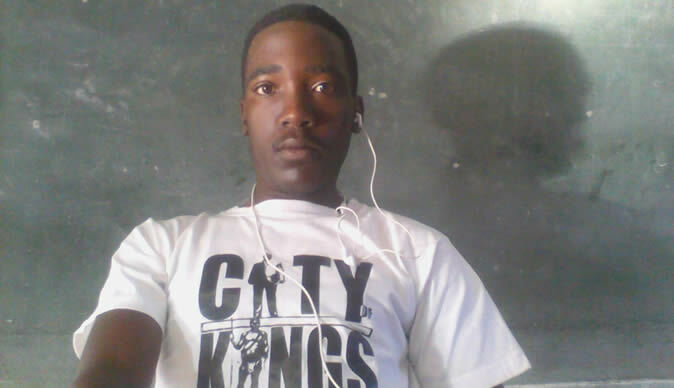 It is at the same time that I was in traduced to graphic design software's by a friend, Walter Manyenya. In 2012 I got a place at Lupane State University and had to relocate to Bulawayo where I'm in 2nd year doing Development studies. In some way it affected my art but however, I had my first official label the same year simply titled "I'm Zimbabwean." From being a designer only, I started printing my personal t-shirts with my stickers and labels for the fun of it .My friends reaction was love of my work and they also wanted t-shirts, that's when I realized this could be a business. I then decided to experiment by forming a 'Facebook Company' named 263 Clothing where I conduct all my business and interact with all fans of local products. The response I got from Zimbabweans in the country and South Africa made me realize that I had to take designing seriously. I now have more than 7 official popular labels in the country. 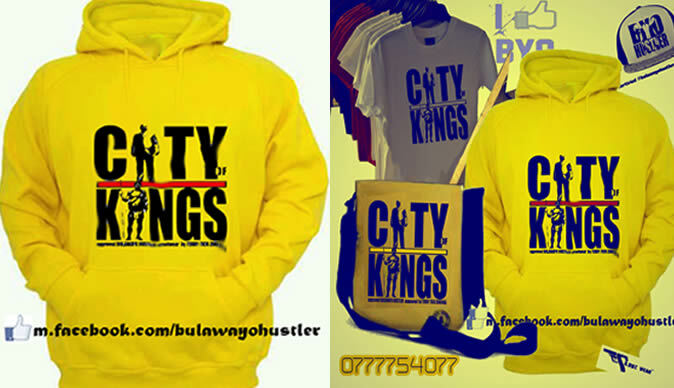 These are Bulawayo Hustler, City of Kings, City of Queens, City of No Sleep, Mbare Mih Sey as well as P|R|Loudly Zimbo (Proudly/Loudly Zimbo), Gunz-Wear, Made in Harare and the new "Don't Panic" that has gone viral on social networks. I have also worked and designed for music artists in the country which include Kwekwe based award winner L kAT, MckomArraWhiz, Marondera based upcoming producer Dj Ascom, Shinsoman, Ottis Ngwabi, Rusape based hip-hop artist Splits Loui, rapper Trysongz Matumbu, rising dancehall star Elcee-DiHitman as well as Bulawayo rap group Kasi Lunatics, Krusty Freshman-Fresh and Kudakwashe Chiwamira. I have done designs for Trevor Dongo and Souljah Love but however the talks slowed down with these two artists because of their busy schedule and other commitments. Also, a deal with Kuchibhorani hit maker Nashie could be on the way if negotiations go well according to plan. I usually prefer working with upcoming artists mostly because I'm still on the learning curve also, there is less pressure and this allows me to manage my time well and get the much needed experience. My wish is to one day see President Robert Mugabe wear some of my designs. My mission and aim is marketing brand Zimbabwe wherever I am. My marketing strategies are very poor and I'm always on the losing end because of this. Also, due to the economic hardships facing the country, financially I'm not stable and this has also been worsened by the pulling off of my sole sponsor, Lady Godiva Branding due to less of revenue. However, I have received support from Warriors and Highlanders FC goalkeeper Munyaradzi Diya who is the brand ambassador. I also want to thank the people of Bulawayo and Zimbabweans for appreciating my art.